Thinking about buying a business? What can you buy with the capital you have available? Although there are several factors to consider when purchasing a business – like finding one in an industry where you have some practical experience or finding one in an area close to where you live – what you can afford will probably be the biggest consideration of them all. When deciding what you can and can’t afford, you may need to adjust your way of thinking about the capital you have. For instance, if you have $100,000 in cash to spend, you absolutely can’t afford a $100,000 business. Covering the price tag alone isn’t going to be enough. You absolutely need to set aside a decent chuck of money for working capital. You need this extra capital to pay for attorney fees, for licensing and permits, for lease deposits, for first and last month’s rent, for utility deposits, for the first few weeks of payroll, for rent, for new inventory – the list goes on. Wait, aren’t I buying a functioning business? Can’t I just use the money the business is making from day one? Why do I need so much working capital? The short answer is you never know how much you are going to need. What if you lose an important client right out of the gate? What if you discover maintenance issues that immediately need work? What if you are taking over during a slow period of the fiscal year? You need to keep capital on hand to be able to cover the unexpected. Another consideration? You will have a landlord who wants proof you can pay your rent – so not only will you have lease deposits that will need to be paid, you will likely need to prove you have the cash available for a decent amount of rent payments before you will be allowed to sign a lease. No landlord in their right mind is going to let someone sign a long-term commercial lease if they only have enough money to pay rent once in the bank. The message here is to be smart with the money you have available. Don’t overstretch your financial capacity. Doing so can put your business ownership success in jeopardy. Have an honest and open discussion with your business broker about how much money you really have available and then listen to their advice regarding what businesses you can realistically afford. 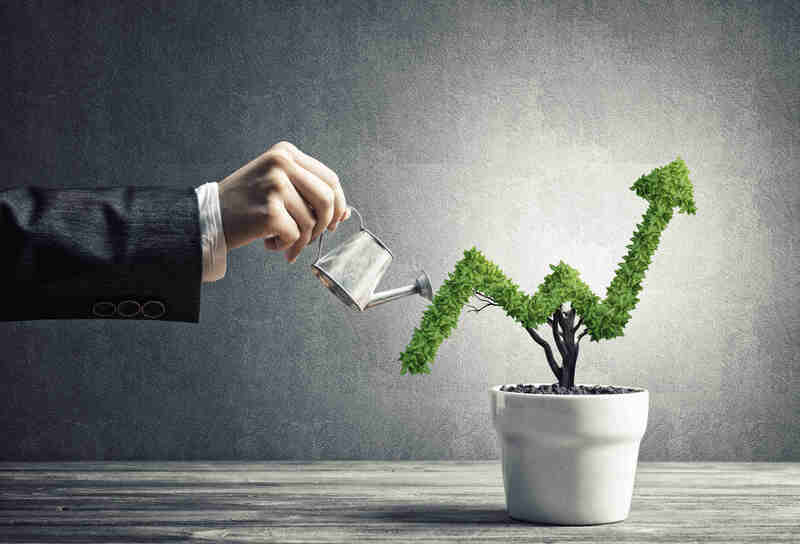 By leaving yourself a working capital buffer you are far more likely to survive the bumps in the road any new business owner is sure to encounter. Would you like to know what types of businesses you could afford? 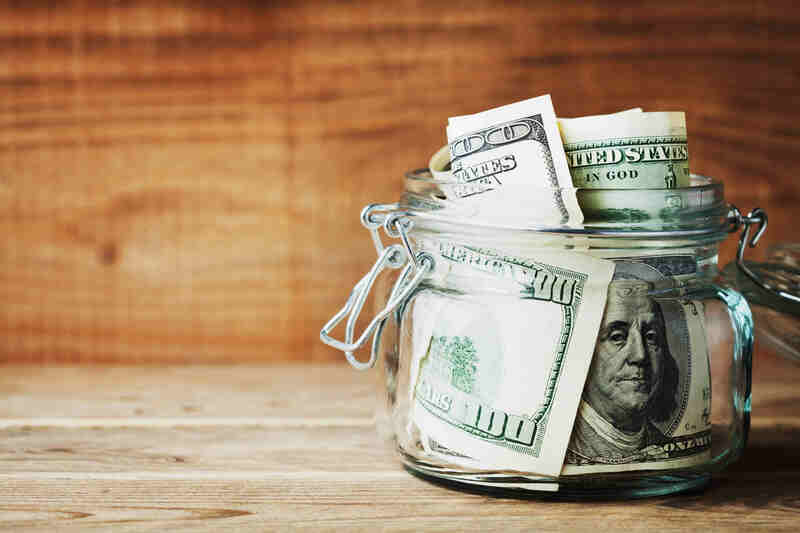 Do you have questions about how much working capital you should set aside? Ask us! Leave questions or comments here and we would be happy to help. It can be an excruciatingly tough decision. You’ve created a successful business and are generally happy with where it’s headed. You spend every waking hour working on growth and you are reaping the benefits of all that labor. Selling your business and an exit strategy are probably something you’ve considered down the line – but times are good so you’re definitely not going to sell now. Right? Here’s the thing. Your business is currently successful. The economy is booming. You have solid numbers for the last few years. Your business is probably worth a lot right now. How much are you willing to bet that this upswing is going to last? If you wait too long to sell, then the answer could be everything. No one knows how long the economy will boom, but we all know it can’t be forever. If we have another crash like the one in 2008, could your business survive? You and your family might currently be in good health, but that could change and pull your focus away from the business to the point where the business falters. 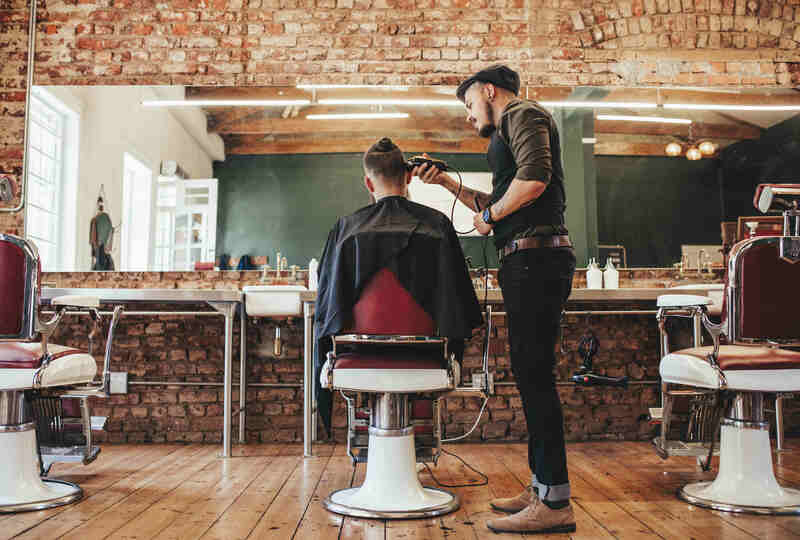 The calculation of how long to hang on to a business while the going is good can be tough, but here’s a few things in the tea leaves that might make you consider selling sooner rather than later. The Baby Boomers are retiring in record numbers. A lot of these Boomers are small business owners and as such will be looking to sell in the near future so they can retire. That means a glut of stable, long-term small businesses with good numbers will be hitting the market. All of these great businesses will be your competition, and too many businesses for sale will absolutely push prices down. The economy is great, and there’s a rush of new construction happening everywhere – in both the residential and commercial sectors. Real estate prices are soaring. Sounds like life in 2006 and 2007, right? So what’s a business owner to do? You may not want to sell because you are essentially selling yourself out of a job – but here’s another way to look at your business investment. You can only grow your current business so far, and if this article is resonating with you then you’re probably nearing or have already reached the peak. Selling and moving on to new ventures can grow you as an entrepreneur instead of just growing one business. 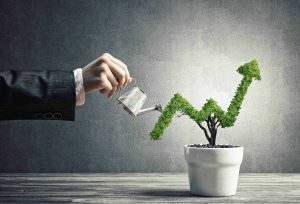 Here’s another thought – if the economy does crash and you were able to sell before it happened, you will be uniquely positioned to invest in a new business venture when no one else has any capital and the prices for businesses are way down. The tried and true notion of buy low, sell high absolutely rings true in the small business market. If you haven’t considered selling because everything seems great – maybe you should. Selling your business while it’s still worth a lot will give you choices and capital that you won’t have if you hang on through the wave of retiring Boomers and the next economic meltdown. Consider growing yourself as an entrepreneur and get on the path to sell today. Are you a small business owner who hasn’t considered selling? Would you like to know what businesses like yours are currently getting in the market? Please ask us! Leave any questions or comments and we would be happy to help. Listing prices can seem like they are all over the map, and to be honest, sometimes they are. Some businesses are listed for far too much – where a seller is unsuccessfully trying to recuperate every dollar they’ve ever invested. Some businesses are listed for so little it seems like they’re trying to hide some kind of massive fault. 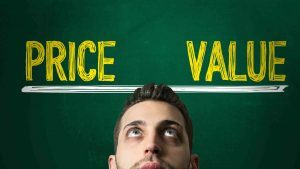 While the wide scope of prices might make all listing prices look like just an arbitrary number – for the vast majority of businesses for sale they aren’t. Sellers who are motivated to sell and who have the right help from a decent business broker will have their business listed for an appropriate price. As a buyer it might initially seem difficult to determine if what you’re looking at is indeed worth what a seller says it is – especially with things like depreciation, add-backs and multiples clouding the waters. 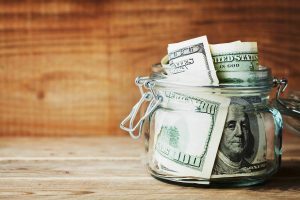 While there are many factors that can add or subtract some value from a business, the most important marker to consider is cash flow. Cash flow is king because that’s what a business is. It is a money-generating enterprise. The money a business makes it what gives it value. This is very different than say, a house. It is the features and aesthetics of a house that will determine it’s worth. Here’s the problem. Some buyers get hung up on the aesthetics of a business, like the condition of the furniture or the color of the walls – and base their own perceived value on these physical things while completely missing the point. You need to be looking at cash flow. And you need to understand that how things currently look and the way things are currently done is what is producing that cash flow. Getting hung up on aesthetics can cause other issues as well. 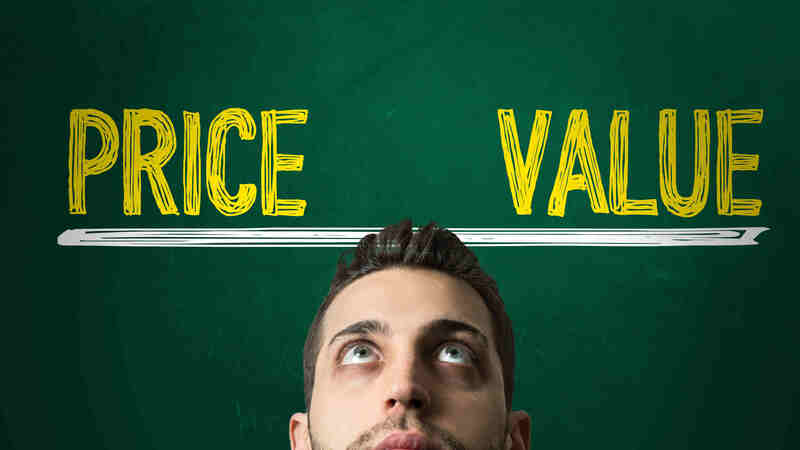 It can make a buyer believe that a business price should be discounted based on a difference of opinion. Let’s go back to the house example. If you walk into a house and you hate the design of the brand-new kitchen you can’t go to the seller of the home and say “I’m decreasing my offer by $50,000 because that’s how much it’s going to take to redo the kitchen.” That would be ridiculous, right? When you buy a house, you are buying it as-is. The same goes for businesses. If you don’t like the way a current owner is doing things or the truck they just bought for the business – you don’t get to discount the price because it isn’t something you would have chosen or isn’t a procedure you would have implemented. Again, you need to remember that the way the current owner is doing things is what is generating the cash flow that you’re buying. From the outside looking in, especially with only a cursory glance, you can’t possibly understand the nuances of why a business is generating the cash flow that it does. It can be difficult to look past the aesthetics – but it is critical that you do. You need to look deeper and try to understand what it is about the way the seller does things that works. It’s also a great idea to keep from insulting a seller to the point of no return by trying to get a deep discount on a business for something that is essentially a difference of opinion. Talk to your business broker about any concerns you might have, and they can help you come up with a fair offer that will (hopefully) keep the deal moving forward. Are you in the market to buy a business and have more questions about the importance of cash flow? Would you like to know more about how other factors may play into business pricing? Ask us! Leave any questions or comments and we would be happy to help. You’ve made the decision to sell your business. You found a good broker who spent a lot of time talking to you about the vital nature of confidentiality in business sales, and as such you haven’t told your staff, your clients or your vendors about your plans to sell and move on to the next phase of your life. You’ve been careful not to talk about your business sale in front of your kids or your neighbors. You’ve only allowed buyers with signed NDAs access to your business. There’s a good bit of interest and everything seems to be going well. Then one afternoon you get a panicked call from one of your staff. The word is out and your manager just quit. Everyone knows the business is for sale and now you’re trying to keep the rest of the staff from quitting and your biggest client from walking on next year’s contract. 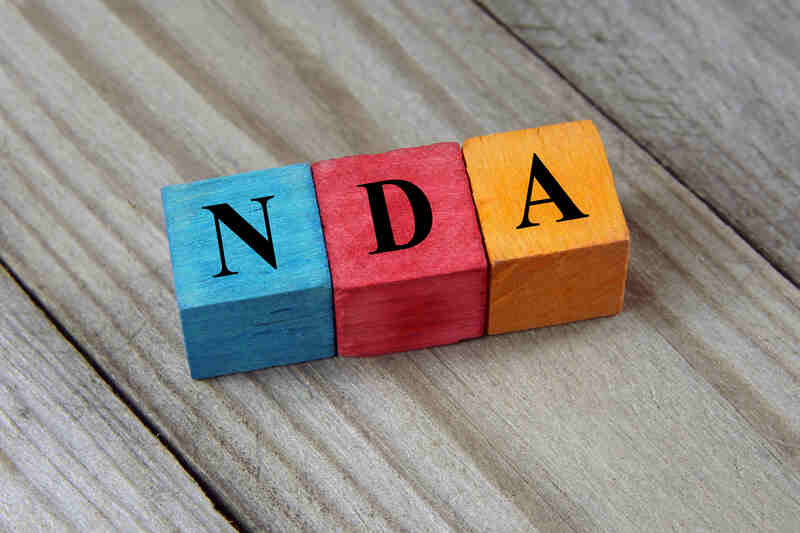 You call your broker, and they look through all of the NDA’s and all of the buyers who have considered your business – but the breach isn’t from them. What happened? It was you. Barbers, hairdressers and bartenders. What do these people have in common? You probably tell them way more than you would tell any other relative stranger. It seems harmless. They aren’t in your social circle and what you tell them seems like a private and confidential conversation. Guess what? It‘s not. It is the very nature of their job to have these kinds of conversations with lots and lots of people. People who you didn’t know are friends with your staff. People who are the wife of your biggest client. People you may not have considered as people who could blow the confidentiality of your business sale apart. 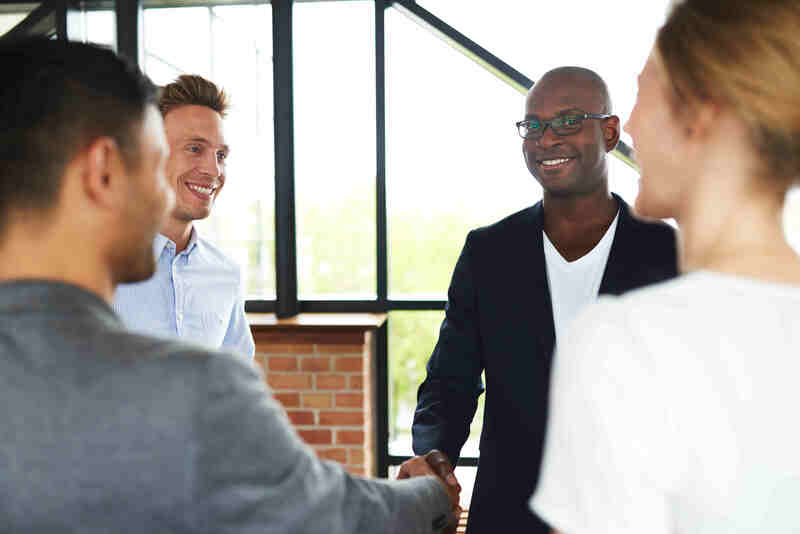 These seemingly innocent conversations can have a huge impact on your ability to sell your business – or even your ability to keep the doors open. Confidentiality means everyone, not just those who you consider the most likely to spill the beans. 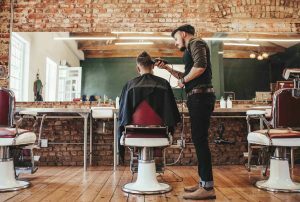 To drive the point home – we’ve even seen a conversation between strangers on an airplane lead to a breach, so talking about selling your business with the guy cutting your hair down the street from said business is probably a colossally bad idea. If you want to keep your business sale under wraps, the best idea is to keep that information to yourself and to the select few who need to know. Otherwise, a simple haircut can lead to a complete disaster. Are you thinking about selling your business and want to know more about why confidentiality is so important? Do you have a cautionary tale to share with other sellers? Leave any questions or comments and we would be happy to help. You are very seriously considering what could soon be your new business. An offer has been accepted, you’re well into the due diligence phase – but the seller is incredibly reluctant to let you meet the staff. What gives? For a Main Street business (think a small business, not a multi-million dollar business) there is a very real threat to the survival of that business if the for-sale status is divulged to it’s employees too soon. This threat comes from the pervasive (but almost always untrue) assumption that a business for sale is a business on the brink of failure. When the staff of a small business hears that the business is for sale, the knee-jerk reaction is to quit en masse – usually taking their regular clientele with them. The loss of all (or even some) of the staff can be a death blow for a business that doesn’t employ that many people. As such, a seller isn’t going to want a potential buyer to meet the staff until after a deal is closed. 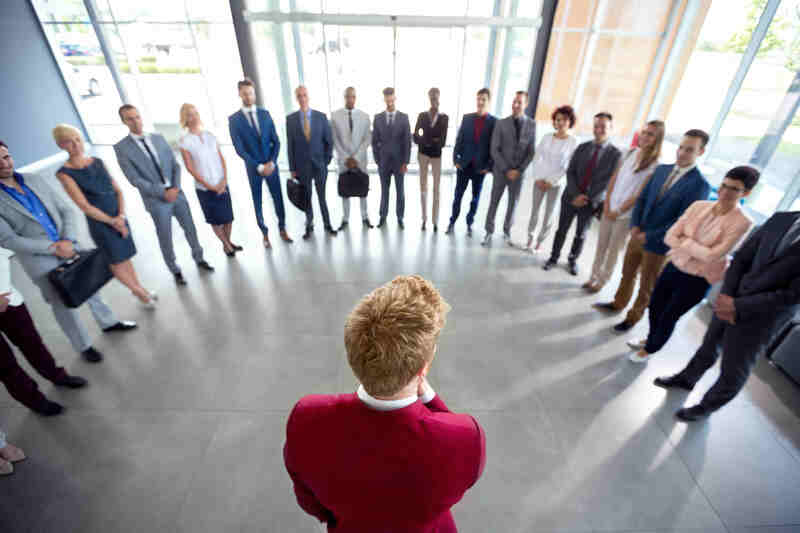 If the meeting takes place before closing, the seller runs the risk of the word getting out to their staff, their clients and their vendors that the business is for sale. The rumors can and will spread like wildfire. If the current buyer decides to walk the seller is now stuck with an enormous mess and a complete breach of the confidentiality that is so critical in business sales. In order to protect the business and retain the employees through the sale, a new owner will typically meet the staff right after closing. Wait, what if I buy this business and then all the employees quit? First, this rarely (if ever) happens. People want job stability, so finding out that a business has changed hands but is otherwise fine is not going to elicit the same response as if those employees found out that the business is for sale. Again, hearing that a business is for sale will cause a staff to completely freak out over the fear that the business is weeks away from faltering. Second, any employees that quit solely because the business was sold are probably not the kind of employees you were going to keep as the new owner anyway. What if there’s one or two very vital key employees? Can’t I meet them? Maybe. In the Main Street business market each transaction will follow it’s own path. In some instances it might be completely fine to meet critical staff while in others it won’t be. 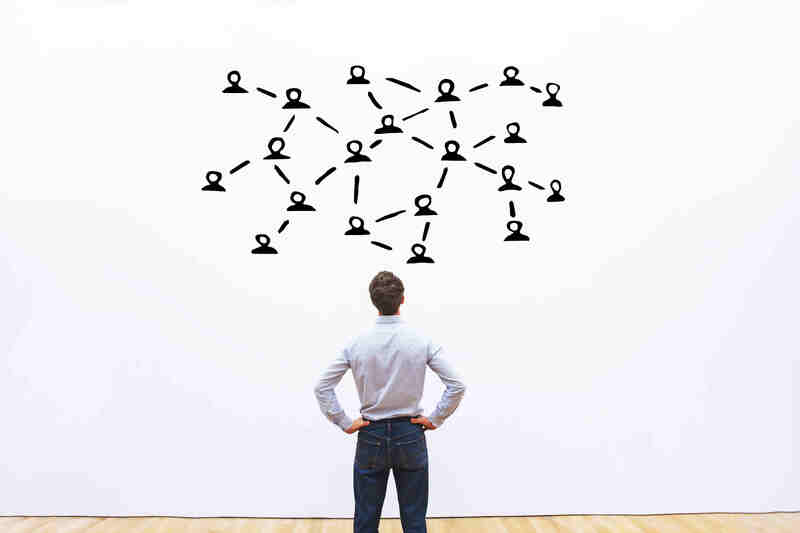 Each transaction, each buyer and each seller will have to figure out what is going to work in their particular scenario. The point here is as a buyer you will have to come to the table with the understanding that it might not be in the cards for you to meet the staff before closing. 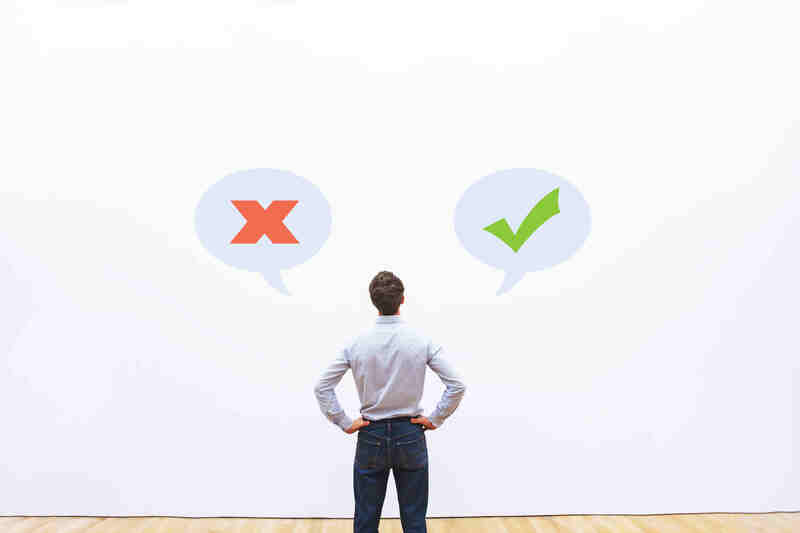 Understanding this nuance of small business sales will keep you from getting stuck on this point during the negotiation process and derailing your deal. Are you considering buying a business and want to know more about why confidentiality is so important? Would you like to know how to best introduce yourself to a new staff? Please ask us! Leave any comments or questions and we would be happy to help. If you are selling your business, it isn’t just the opinions of business buyers you need to contend with. Business buyers typically come with an entourage – an entourage with very strong feelings about the sale of small businesses. There are spouses and in-laws who are very interested in how much money is going to be spent on a new business venture. 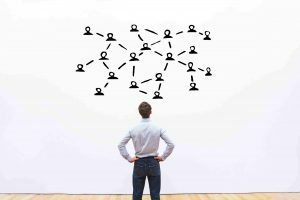 There is a severely inexperienced real estate agent friend who wants the commission for helping with the purchase of the business – and as this is the friend’s first foray into business transactions they have no idea what they’re doing. There’s an uncle who’s a CPA for a school district who knows absolutely nothing about business transaction accounting – and this uncle will happily advise your buyer that your very fairly priced business should only be listed for a third of what it is. There’s a buddy from the gym who read an article about earn-outs and now thinks every small business sale should be done that way. The list can go on and on, but you get the drift. This well-meaning but ill-informed entourage can play havoc in a business transaction. They can undermine negotiations and cause rewrites of contracts. They can even kill a deal. While they will always be there – there are things you can do as a seller to combat their terrible advice. What can you do? Be prepared. You can hire an experienced and professional business broker who will be your buffer with this entourage. They can keep inexperienced pseudo-brokers out of the deal, help you hire the right professionals to get your business ready to sell and they can use their experience to negotiate on your behalf with whatever entourage member is currently causing issues. The buyer’s inexperienced CPA uncle won’t be necessary if you’ve had a CPA who is familiar with business transactions and valuations set up your books so any buyer can clearly see where the cash flow is coming from. You can have your business records in order, with everything from receipts to contracts neatly organized and all of your financial data inputted to accounting software that will allow any buyer to see the day-to-day, month-to-month and yearly numbers. You can also mentally prepare for this inevitable part of selling your business. 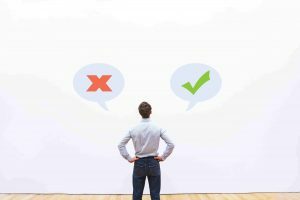 If you know that ridiculous advice is inundating the buyer’s side you are less likely to be offended past the point of no return when some of that ridiculous advice starts to mess with your deal. By staying patient and staying the course you are much more likely to have a successful closing. The point here is your best course of action when dealing with a buyer’s entourage is patience and preparedness. Do you have more questions about how to prepare your business for sale? Would you like to know more about what a business broker can help you with? Ask us! Leave any questions or comments here and we would be happy to help. Once upon a time, it was the American dream to own your own business. Kids grew up in world where the example of entrepreneurial blood, sweat and tears was the only path to a better future for yourself and for your family. Fast forward to today. Today’s kids get roped into enormous amounts of student loan debt because the new path to the American dream is a higher education. An expensive higher education. An expensive higher education that doesn’t necessarily mean a job on the other end. Que the trend of college grads moving back into mom and dad’s place. This push for higher education at the expense of all other walks of life hasn’t made anyone any happier or any richer than the generation before. In fact, it’s put a large part of the millennial generation in a financial hole they might never come out of. What has this push for higher education done to the entrepreneurial spirit? It’s choking the life out of it. If you come out of four, six or eight years of higher education you are probably in no financial position to take on the financial risk of owning your own business. You’ve also spent the last handful of years outside of the workforce. You may have learned a lot, but the learning wasn’t of the practical nature best suited for business ownership. We’re not saying that higher education is a bad thing. What we are saying is it doesn’t have to be everyone’s path. If you see yourself 10, 20 years down the road as the owner of your own business – there’s no need to wait. You don’t need a lofty or expensive degree to be a great entrepreneur. You need drive and passion. Instead of asking your folks to send you to college, maybe the better path would be to invest in a business. Buying an existing business can be less risky than starting from scratch and it allows you to take the reins from a seller who will be able to train you. If your parents aren’t thrilled with the idea of you going-it alone, then maybe a family partnership is in the cards. 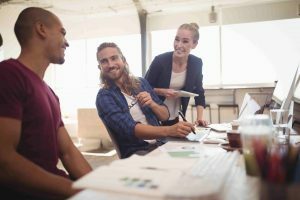 There are also ways for a millennial entrepreneur to fund a business purchase through the Small Business Administration (SBA). Ask a business broker about what opportunities would be available. You might be surprised with what’s possible! If entrepreneurship is for you, there’s no need to saddle yourself with student debt to get there. Talk to a business broker today about your goals for business ownership and the capital you have available – and they will be able to help you decide on the best entrepreneurial path for you. Do you have more questions about how to get funding for the purchase of a business? Would you like to know what a family partnership might look like? Ask us! Leave any questions or comments and we would be happy to help.